VMware Workstation is a virtualization software suite for x86 and x86-64 computers, from VMware. 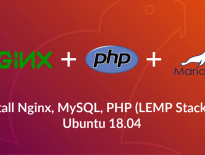 It allows users to run multiple x86 and x86-64 virtual machines (VMs) simultaneously in a single machine. Each virtual machine instance can execute its guest operating system, including Windows, Linux, BSD variants, and others. In simple terms, VMware Workstation allows one physical machine to run multiple guest operating systems simultaneously. 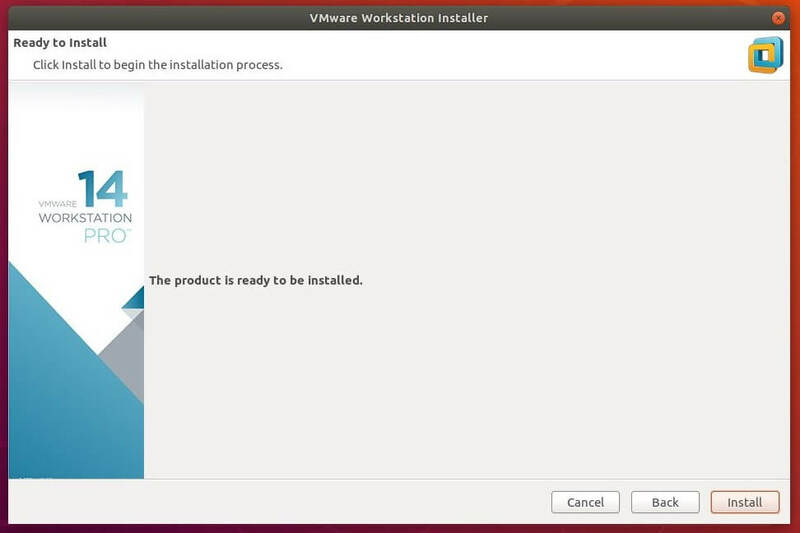 Here, we will install VMware Workstation Pro 14 on Ubuntu 18.04, Ubuntu 17.10 and Ubuntu 16.04. 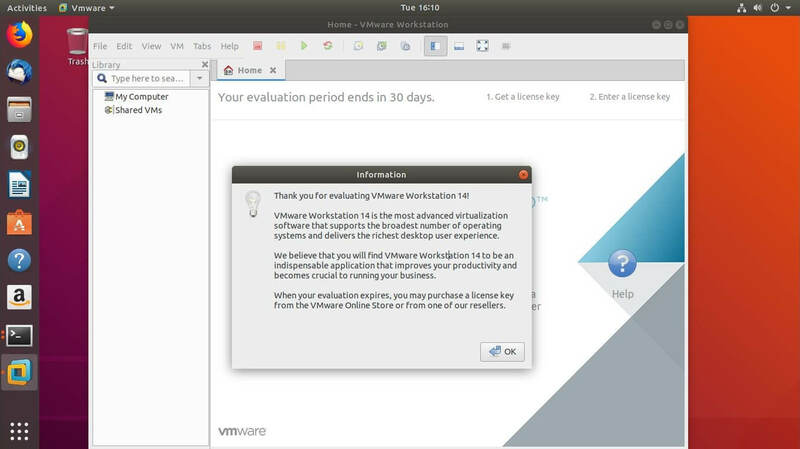 Download the latest version of VMware Workstation Pro (v14) using the web browser. Install the libraries and compilers for VMware installation. 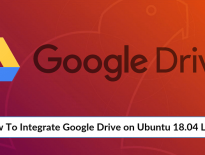 Go to the Downloads directory and make the file as executable. Execute VMware Workstation Pro installer using the below command. The installer will start extracting files for the installation, and it might take some time. 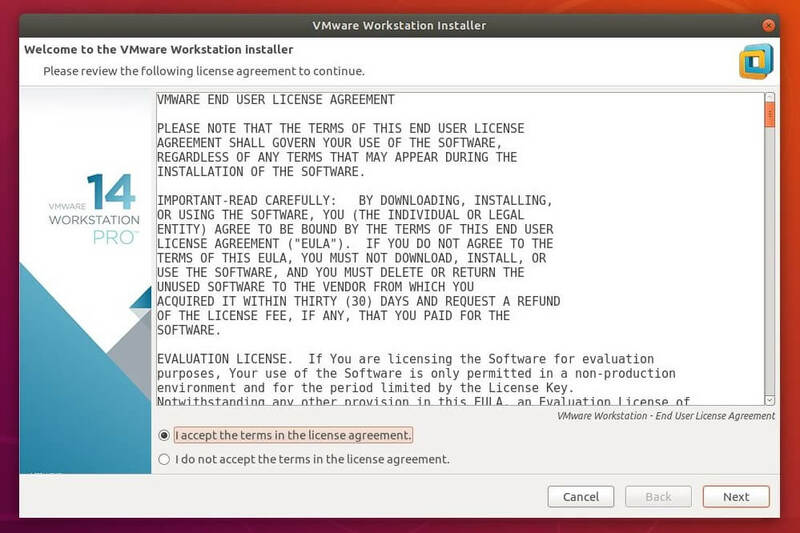 You must select I accept the terms in the license agreement and click Next on VMware Workstation – End User License Agreement. 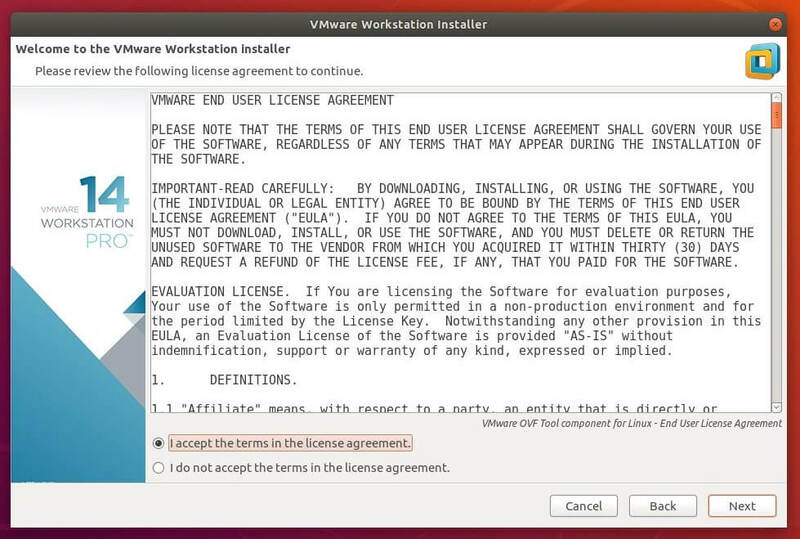 You must select I accept the terms in the license agreement and click Next on VMware OVF Tool component for Linux – End User License Agreement. Choose whether VMware can check for product updates on startup and click Next. Decide whether to Join the VMware Customer Experience Improvement Program (CEIP) or not and click Next. Enter the user that will initially connect to workstation server (Leave the default user) and click Next. Choose a directory for your shared virtual machine (Leave the default) and click Next. Now, Enter the port number to use for https access to workstation server (Leave the default) and click Next. Enter license key (optional) and click Next. Sit back and relax. VMware Workstation Pro installation may take 5 to 10 minutes to complete. Click Close button to finish the installation. Ubuntu 18.04 / 17.10: Activities >> Search for VMware Workstation. Ubuntu 16.04: Dash >> Search for VMware Workstation. 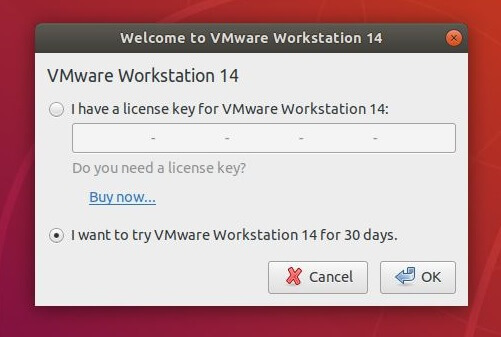 Since I don’t have a license key for VMware workstation, I chose to try VMware Workstation 14 for 30 days. Click OK to proceed. You would need to input your password to proceed upon clicking OK.
You should see the home screen of the VMware Workstation. 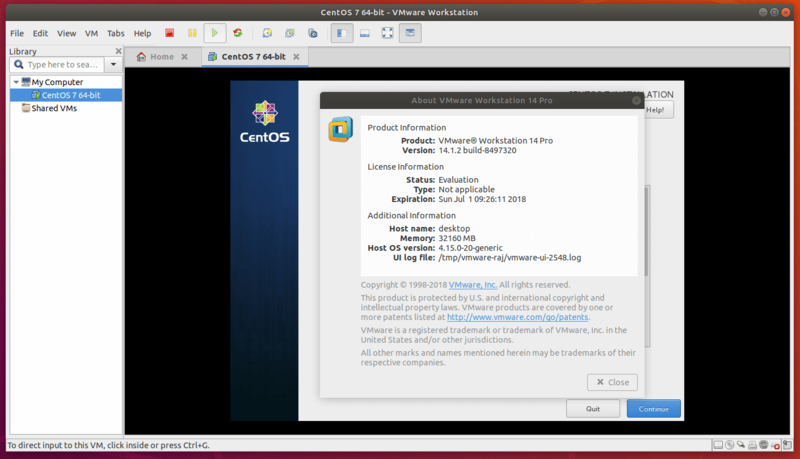 Here you can manage the Virtual Machines. You may get the below error when you power on a virtual machine on the system that boots from UEFI with secure boot enabled. The system with secure boot enabled will not allow loading of any unsigned drivers. Due to this vmmon module is not loaded in the system and thus getting above error. First, sign the kernel module shown like in the below link (run all commands with sudo). Second, complete the enrollment from the UEFI console shown like in the below link (follow screenshots only). That’s All. You have successfully installed VMware Workstation on Ubuntu 18.04.